So often today, we discount the wisdom of those who have come before us and who want to share with us the collective wisdom that was handed down to them by their predecessors. Let's be especially attentive over the next few weeks of those who are older and have proven themselves faithful. 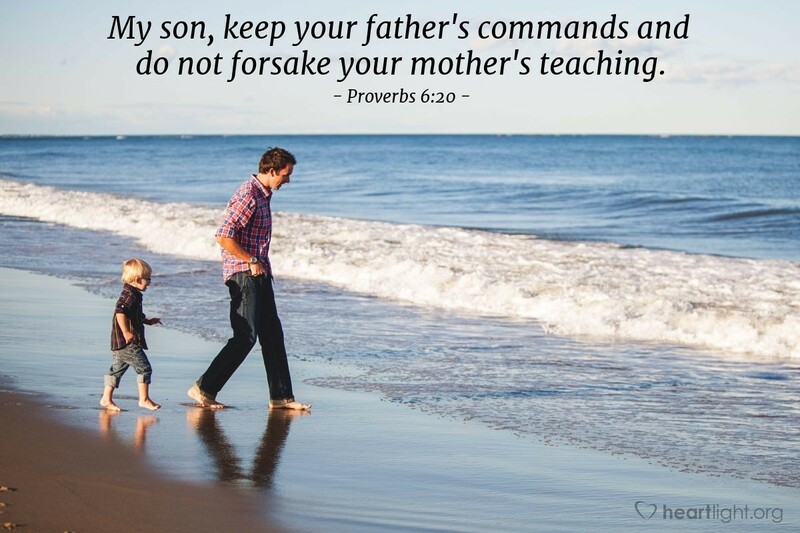 At the same time, let's remind our children and our grandchildren how important obedience is to God, especially the obedience of children to their parents. Dear heavenly Father, I ask your forgiveness for the times that I have not properly respected the word and wisdom of my parents. I thank you for their love for me and their desire to guide me in your path. Please bless them with your grace and bless me as I seek to be more obedient to your will. In Jesus' name I pray. Amen.